Send exe file through email is not a big deal. First of all we should know Electronic Mail is known as E-mail and by using Emails we will send digital information to one or more people. Sending Emails is the best way to communicate over the internet. We will never neglect the importance of the Email Services. Earlier there was a system in which both sender and receiver should be online to send or receive Email. But in modern world Email can be stored to Email Provider Servers for as long as the user wants. Email server sends receive and store digital messages on them for future use and user did not need to be online simultaneously. Everything on the internet or in real life has some certain rules and in Email Services there are also some certain rules. One of them is, “user could not send EXE files through Emails”. Because there are certain risk of sending EXE files through Email. Now the question is how we can send EXE files through Emails? 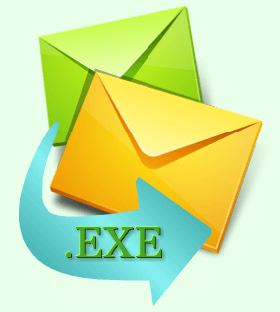 Although as discussed above Email Servers do not allow sending EXE files through Email. But there is a process to send EXE files in Emails. The user can change the extension of EXE file with the help of file compressor. File compressor will compress the file to different format which can be sent through Email. For instance I am using WinRAR to compress my files. WinRAR is commonly used software and freely available over the web. After Archive has done you will see the file size of that Archived file will less than original file.